The courses run by New English Workshop last summer were a roaring success, both were well oversubscribed and the lucky ones that did get a place had a fantastic time. With the Anarchists Tool Chest built by Chris Schwarz going under David Stanley's auctioneers hammer today (March 28th) it occurred to me that I'd better get my finger out if I want to snaffle a place on one of this years summer schools. Last year I mentioned to Paul and Derek how amazing it would be if Tom Fidgen could come over from Canada to teach in the UK. Tom is probably the coolest woodworker on the planet, his work is fast, accurate and meticulously well planned, but I'd swear his heart rate never climbs above 60 beats per minute. If you're not already subscribed, take a moment to check out his youtube channel and website theunpluggedwoodshop.com. Anyway, to my surprise they did ask him, to my even greater surprise he agreed, and then to top it all the course location was changed to Warwickshire College, which is just up the road from Workshop Heaven, talk about the stars coming into alignment! 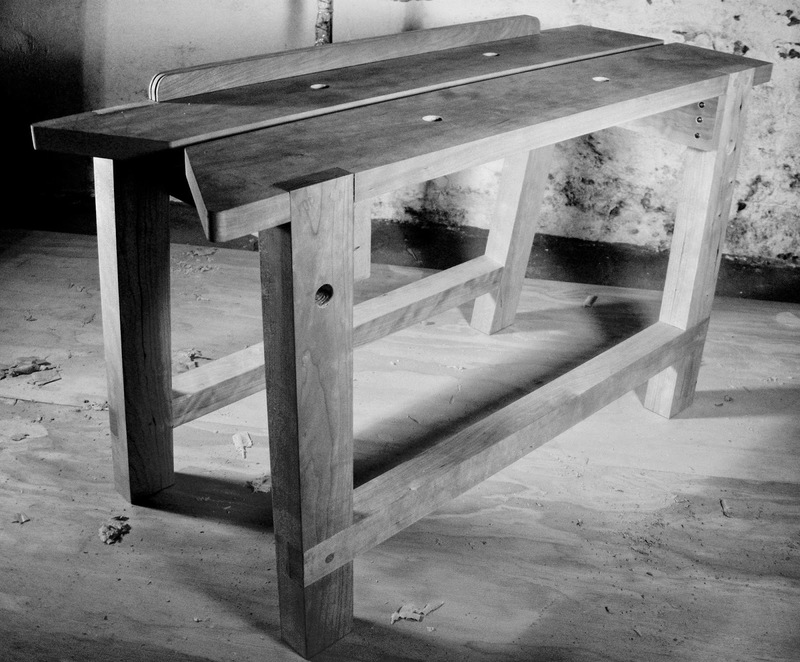 The project is a sawyers bench - kinda like a 17th century Black and Decker Workmate. Tom has made a few significant tweaks to the traditional design which will make this a fantastic addition to the workshop that will earn its space many times over. For me the course isn't really about the project though, it's all about sharing and enjoying the creative process with likeminded souls and picking up a few wrinkles of experience from one another. From that perspective, a huge extra bonus is that another woodworking legend Peter Folansbee will also be teaching at Warwickshire College the same week, so with any luck I might get to enjoy a brew and a natter with him and the people attending that course as well. The New English Workshop Summer School offering has grown from two woodworking courses last year to ten available this summer, spread across Kent, Sussex, Warwickshire and Somerset. 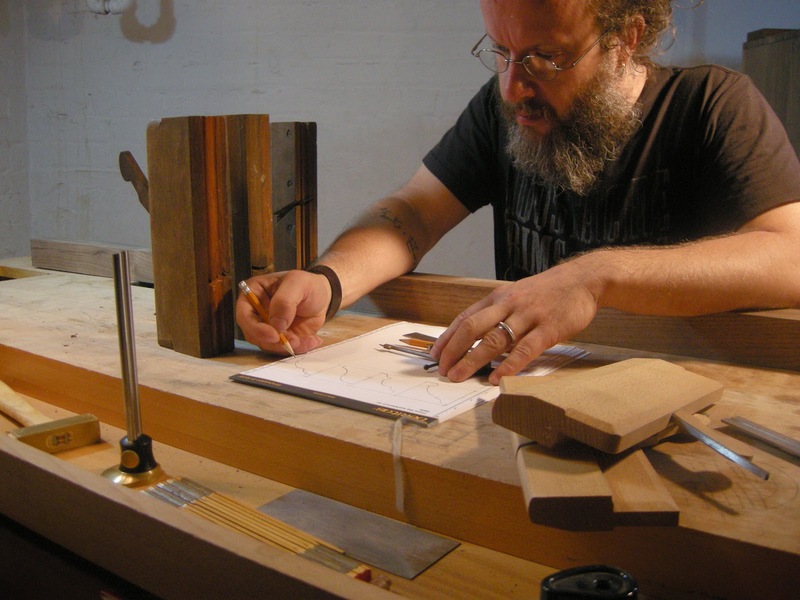 All of the courses are led by world class woodworking instructors and hosted at well equipped workshops. If you'd like to book a place, I'd recommend getting your deposit in fairly sharpish. Spaces are limited and opportunities to share time at the bench with woodworkers of this calibre are few and far between. Here's Tom with some more details about the course, for more info about the other woodworking courses available, visit newenglishworkshop.co.uk. I'm really looking forward to my visit to the UK in July.